If you feel your smile is “gummy” or if you think your teeth are too small, crown lengthening may be right for you. Crown lengthening is a procedure performed by your periodontist to reshape the gum line to improve the aesthetics of your smile by exposing more of your teeth. Crown lengthening involves removing excess gum tissue around the upper teeth to make them look longer. 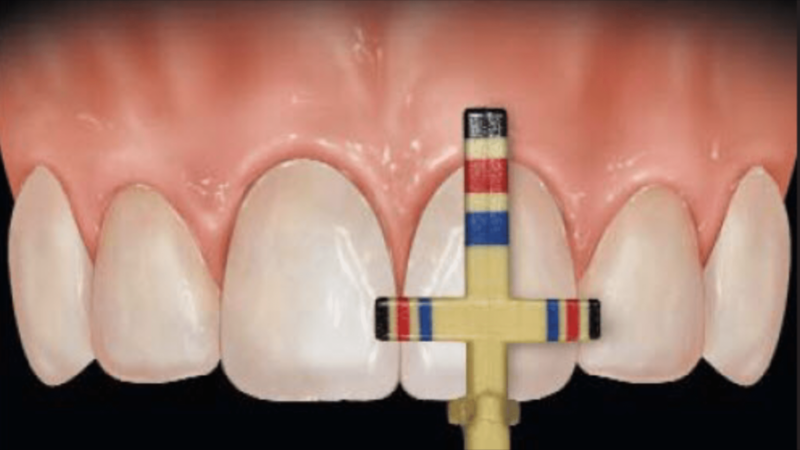 If the gum line is uneven, crown lengthening can also sculpt the gum line to produce a more symmetrical, balanced smile. Crown lengthening may be done for dental care and medical reasons as well as for cosmetic purposes. If your periodontist finds decay or fracture under the gum line, for example, crown lengthening can help expose more of the tooth’s crown in order to support a filling or restoration. It is done under local anesthesia, so as the numbing effect wears off, you may feel some discomfort along your new gum line. You will most likely be prescribed pain medication, so it is important to let us know what other medications you are already taking. Usually, a follow-up appointment will be needed to check the healing process and remove any stitches. We want your crown-lengthening procedure to be as comfortable as possible, so let us know if you have any questions. Call our office to set up an appointment, and find out if crown lengthening can give you the smile you’ve always wanted.